A few years ago I fell in with a bad crowd and suddenly my plain old white and green snowdrops just weren’t special enough. Of course I took it personally and felt a little less special myself, so in an attempt to keep as super special as any good snowflake can be I started searching for some slightly ‘different’ drops. Who would have thought it would come to this. 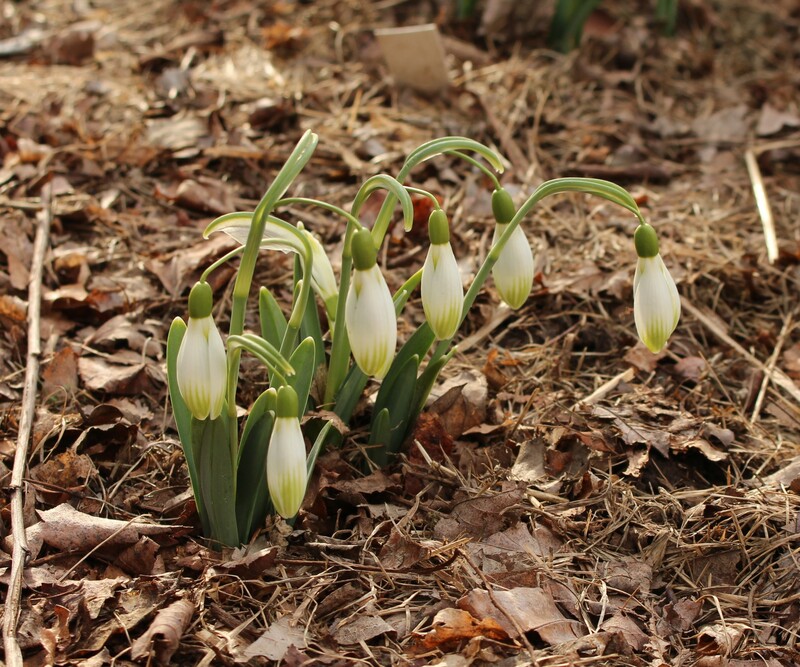 Collecting snowdrops in the US isn’t quite as easy as collecting something like daylilies. 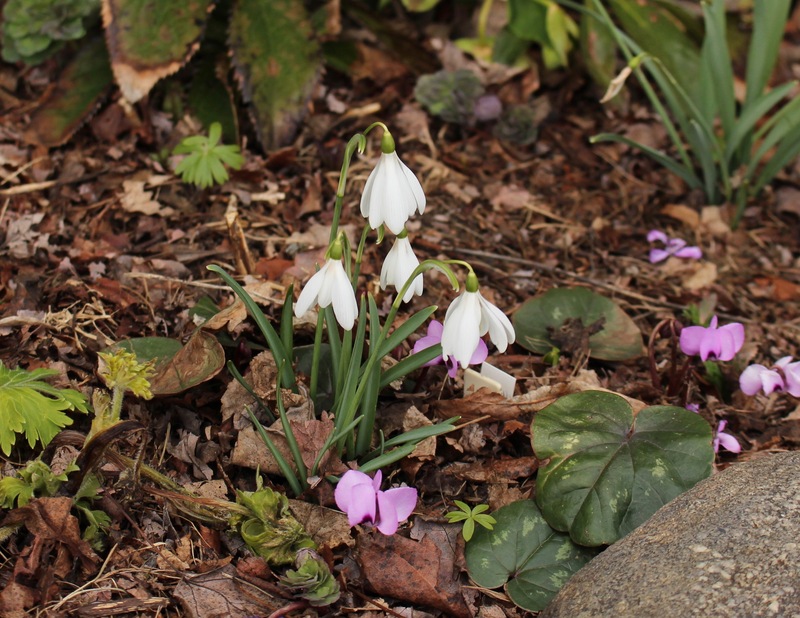 The epicenter for variations and interest in the little bulbs is focused in their native Europe, and a little springtime obsession revolving around these tiny plants probably doesn’t even raise an eyebrow over there. I bet in some locales it’s even embraced. Here not so much, especially here in the hills of NE Pennsylvania where winter lingers. Our snowdrop season passes quietly (here and there between dramatic weather events) and I’m left to enjoy my now super-special snowdrops all on my own… with maybe just a few too many shares of online photos. Might as well go completely overboard and put together an online collection of my goodies. Better databases exist from UK, German, and Dutch growers but here’s a collection of garden photos from the backyard (and front) of a US gardener. 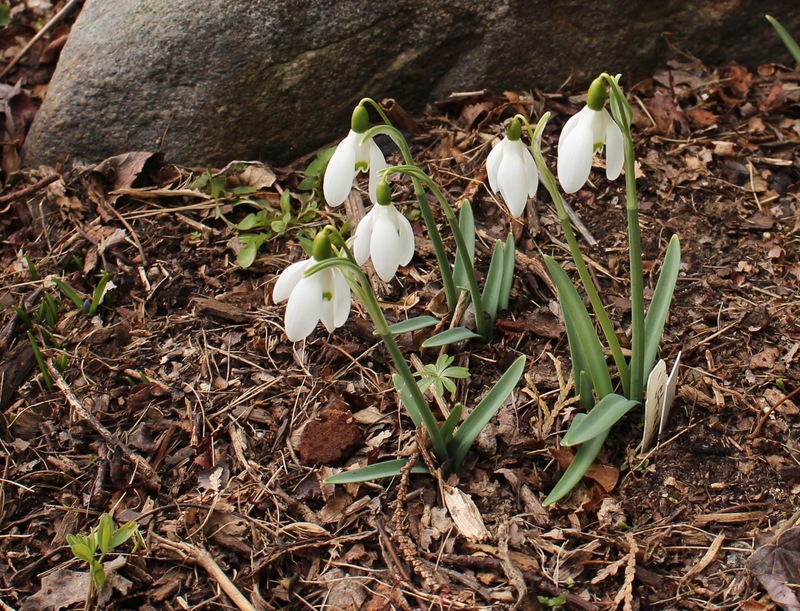 I guess it goes without saying that although American sources of snowdrops are fairly limited, all of these are available here in the States to a moderately fanatical collector, and given enough time or money there is even some hope for the most isolated North American galanthophile. You just have to start with one bulb and a bunch of patience. Art Nouveau is a tough snowdrop to start with. It’s so fancy and has nearly all the extras which snowdrop lovers look for that the later drops might compare as just a bit plain. This one is a decent grower which stays nicely upright, the extra-long inners with greentips everywhere are even further highlighted with an artfully curved spathe over the top of the bloom. Bill Bishop is one of the ‘Mighty Atom’ group of similar G. plicatus cultivars. I love big drops and I can’t deny, so way too many of these similar drops have found their way in to my garden. Who cares if I struggle to tell them apart! Brenda Troyle is a big sturdy drop and qualifies as one of my favorites. It’s perfectly simple and pure and elegant and of course that’s entirely my own biased opinion. Comet has been a mess for me. The earliest leaf tips all go mushy, I pick them off, they try growing again, I pick them off a little more, and eventually he pulls through. the flowers on the other hand just shoot up like their celestial namesakes and arch nicely with large flowers just touched by a brush of green. But those leaves… he seems to be doing well enough in spite of it though and is a decent grower, and word is this is just a phase he’ll grow out of… or not. * ‘Comet’ left the garden during the winter of 2018, and I won’t be making any special efforts to get him back. Curly has just a touch of green on the outers which is complemented by inners softly patterned and washed in pale green. A shorter drop, I believe the name comes from the slight curl some of the foliage develops. A good bloomer. Daphne’s Scissors always seems to start out small and then expands into decent sized flowers on a short plant. The inners vaguely resemble scissors, and the light green markings on the outers are a nice touch. I feel like the American version I grow differs slightly from the European version, but what do I know. 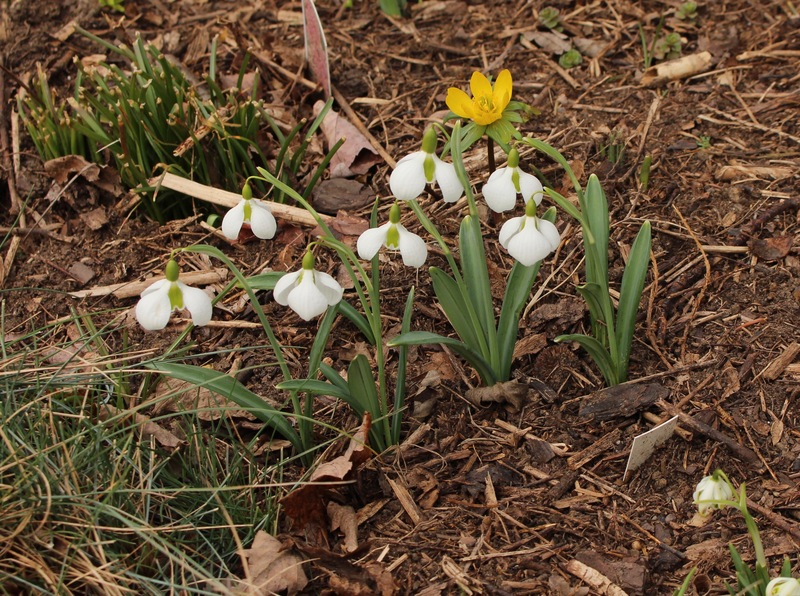 Diggory is practically a required snowdrop. The flowers ‘pucker-up’ within a few days after opening and the fat, puffy blooms make this flower easy to identify even without a label. That’s a quality not often found in galanthus collections. Erway might not be for everyone but I like it. The ovary has a longer shape which reminds me of a helmet sitting on top of the flower. Maybe I can relate to that as sometimes I feel like I should be wearing a helmet for ll the times I whack my head. Fieldgate Superb is an outstanding drop which stands up to weather with a resilient style and grace. Like many plicatus selections, it seems happy in my garden and never disappoints. Flore pleno is a catchall heading for all the delightfully messy double nivalis out there. 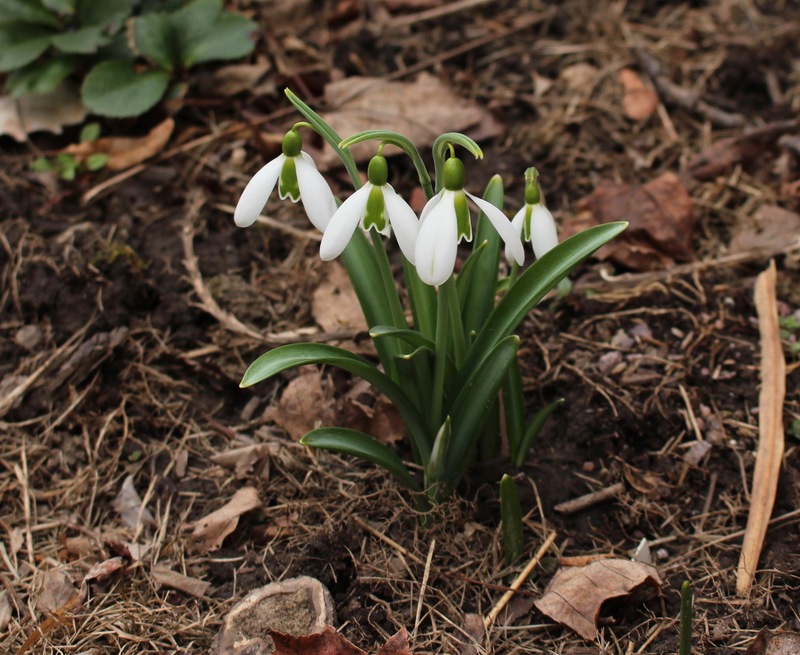 If you go back a few decades to my first snowdrop observations, this was the type I’d look down on as too quick to form a congested clump, and too likely to slack off once overcrowded. I guess it depends on location since now I’m of the opinion they’re one of the best forms for landscape planting. Fairly easy to get, showy from start to finish, and visible from a distance. What’s not to like? George Elwes always seems ready to please. He has nice green inners on a decent flower which stands up well to whatever the sky drops down. I’m looking forward to seeing this one develop a nice sized clump. Godfrey Owen is an easy to recognize, extra special drop. The flowers on this elwesii have everything doubled, with six outers and six inners, and is a good grower in the right spot. I could easily see this one becoming a favorite… more so than it already is. Good Blue Leaf (elwesii) is not much of a name since it’s not actually a name. Sometimes a drop is nice enough to spread around even without an official name, and who knows, maybe this will stick. At least there’s not much required in describing it since most has already been laid out. An elwesii with good blue leaves. This one comes via Hitch Lymans Temple Nursery. 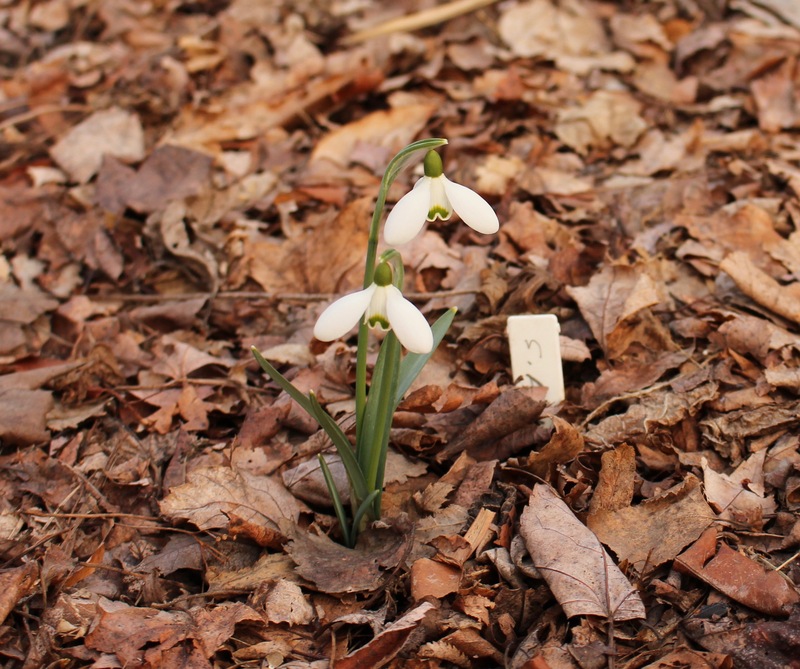 Galanthus gracilis is a species straight out of the wild. For the lackluster botanist, slightly flared inners and a curl to the grey foliage sets this one apart, but obviously it being a species there will be a decent range of variation under the name. I like this one well enough and it grows easily, but I probably won’t be planting it everywhere. Greenish has had a tough go at it in my garden but still has yet to complain. Complaining in my garden usually means a bare spot once the plant gives up but in spite of dog trampling, hail pummeling, and wayward frisbees and footballs, Greenish carries on and still manages to multiply and put up a flower or two. 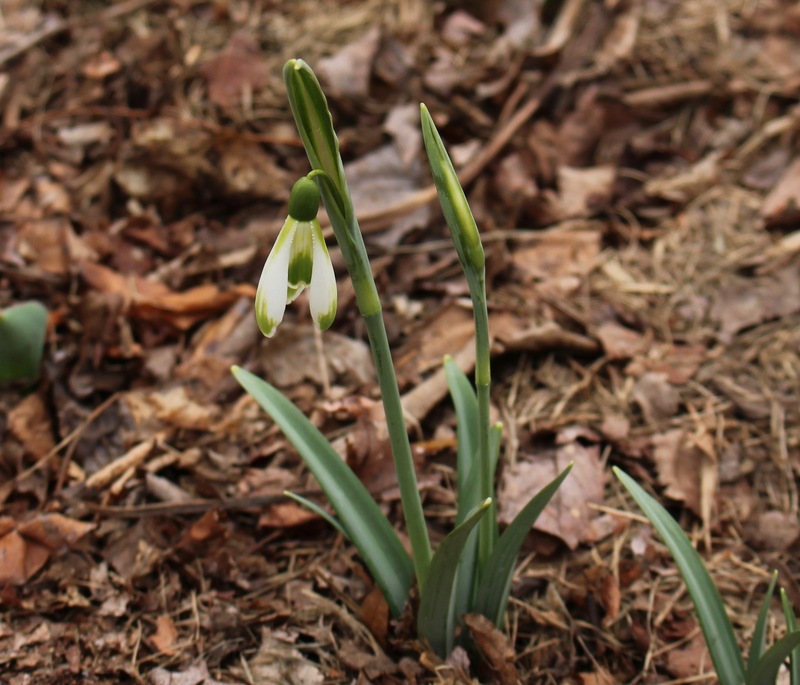 It’s a late bloomer at the end of the snowdrop season, and you’ve probably already guessed that the flowers are… greenish. Heffalump has to overcome my general dislike for doubles. Like ‘Ophelia’ he sometimes sulks a bit after moving, and produces stunted flowers which never develop normally, and sometimes he does this when the weather doesn’t suit him and there’s just not much I can do about that. He’s a shorter drop and from what I hear needs regular division to keep from becoming overcrowded. Irish Green is one you either love or hate. It’s the only representative I grow of a group called ‘spikys’, so named for the uh… spike-like appearance of the outers and inners. I resented my first spiky for dying, and as a result temporarily banned these from the garden, but someone forced this one upon me and I’m afraid I kind of like its special specialness. It still remains to be seen if this one lives longer than the last one. Kew Green has many excellent qualities and is a good grower but for some reason has yet to win me over. This spring might be the season though since I can’t think of a single bad thing to say about this sturdy little flower with its strong green inners. Kildare is an absolute favorite. Large, long flowers shaded and veined in green, held gracefully on sturdy stems. A good grower for me and I’m sure I’d have more photos to show had it not been crushed with hail each of the past two years. 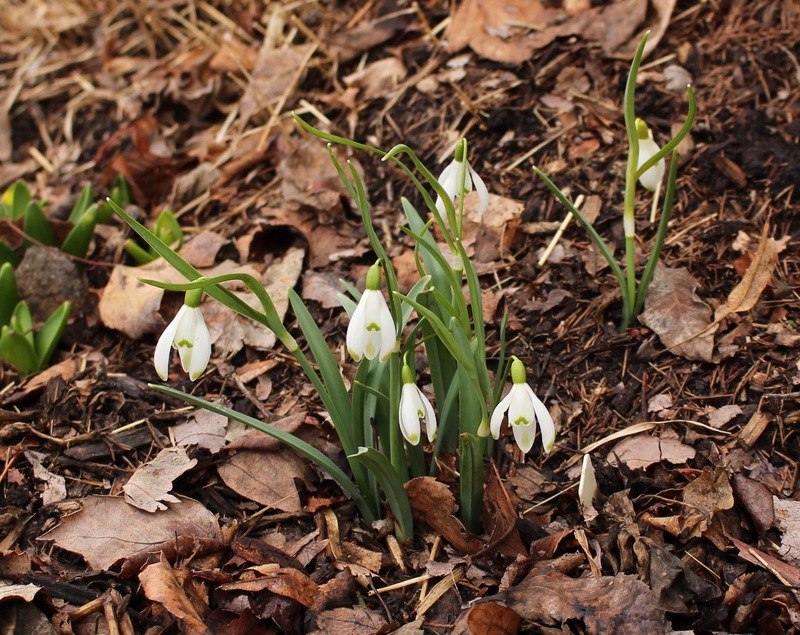 Lady Elphinstone is a snowdrop who likes to keep her options open. Some might say fickle, but as the only double with yellow coloring I guess she can get away with it. In some gardens she struggles each year trying to develop the yellow, and look less like the common double florepleno, but in other gardens her color glows. 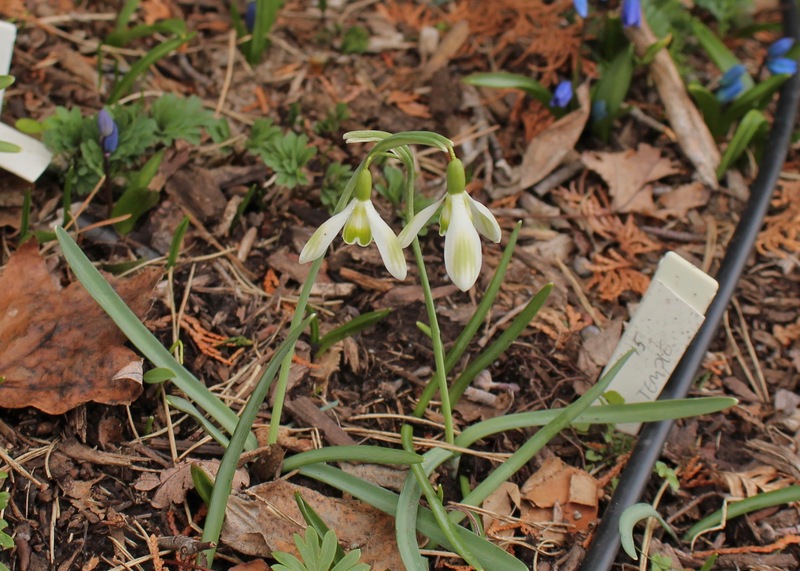 Galanthus lagodenchianus is another species and this one I love. It doesn’t hurt that the strain I have comes up with a nice yellow color which sets the flowers off even better, and the actual flowers seem even whiter and more translucent than your average snowdrop. Thin grass-green leaves and a single dab of color inside the flower sets this one apart, hopefully I’ll be able to add a picture of the regular green version this year. Lapwing is looking awfully small and lonely here but it’s actually a strong grower and bloomer and has been in my garden for several years. It had multiplied into a small clump but then one summer narcissus bulb fly maggots hollowed out nearly every bulb. Fortunately I was digging the clump for a trade and discovered the problem before all was lost. The maggots were cut out and luckily the bulb bits were replanted and a few sent up weak shoots the next spring. Finally after several years I’m back to exactly the same spot where I started, with just one single flower on a single lonely bulb. I have hope though. Magnet has done very well for me… that is assuming it’s really ‘Magnet’. According to what I’ve read, the real magnet does not have a 90 degree crook just above the flower and mine seem to show this. Regardless it’s grown and multiplied well for me and if anyone wishes to send a verified, authentic ‘Magnet’ in the interest of a scientific comparison, I wouldn’t be against that. The main claim to fame for this variety is the long pedicle which dangles its flower out in the early spring breeze. Modern Art is an odd one. I think I remember reading that the name arose because like modern art, you either love it or you hate it. I like it, maybe someday I’ll love it, but right now I’m just glad to have it since just like its close neighbor ‘Lapwing’ I almost lost it a couple years ago to bulb flies. Fortunately a few chewed bulb bits also resprouted on this one and I can again experience the small, green tipped and green stained flowers. I just have to work on my art appreciation. Moreton Mill will always be a little more special than my other specials. It’s a pure white nivalis poculiform which although similar to several other pure, white poculiforms this was the first snowdrop which I spent way too much money on. I’m not known for my lavish spending habits so for the next few springs I nearly held my breath until this one emerged, and then finally let out a relieved sigh the year that one bloom finally became two and then three. Who ever said gardening wasn’t stressful? Mrs Backhouse No. 12 is a good growing, sturdy drop which you should grow because it’s a good growing, sturdy drop. Plus it’s perfect. That’s another great reason which puts it up in the ranks of ‘S. Arnott’ and ‘Nothing Special’ imo. Naughton is another favorite which I coveted for several years after seeing it in bloom. Patience was finally rewarded and it’s been an early, strong grower with large heavy flowers and a nicely curled spathe. 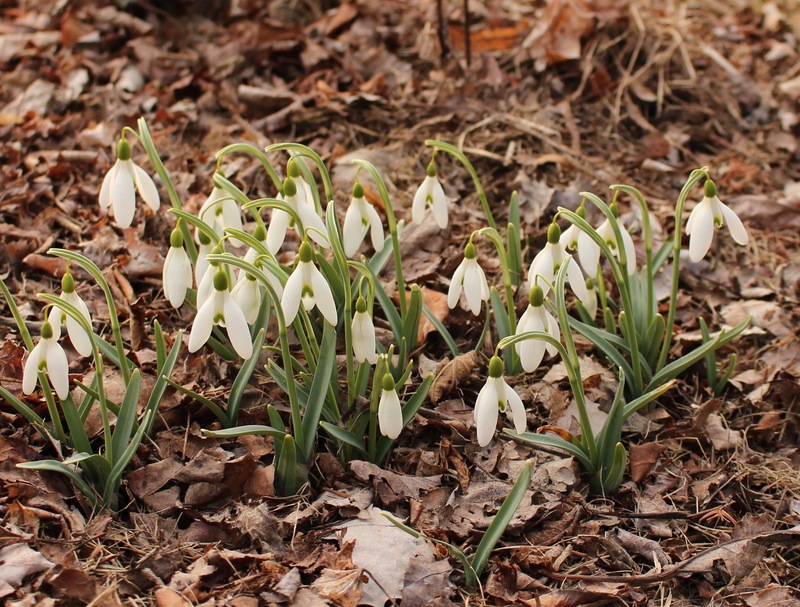 Galanthus nivalis is known as the common snowdrop and is the one most likely encountered in all the best old estates and abandoned homesteads. 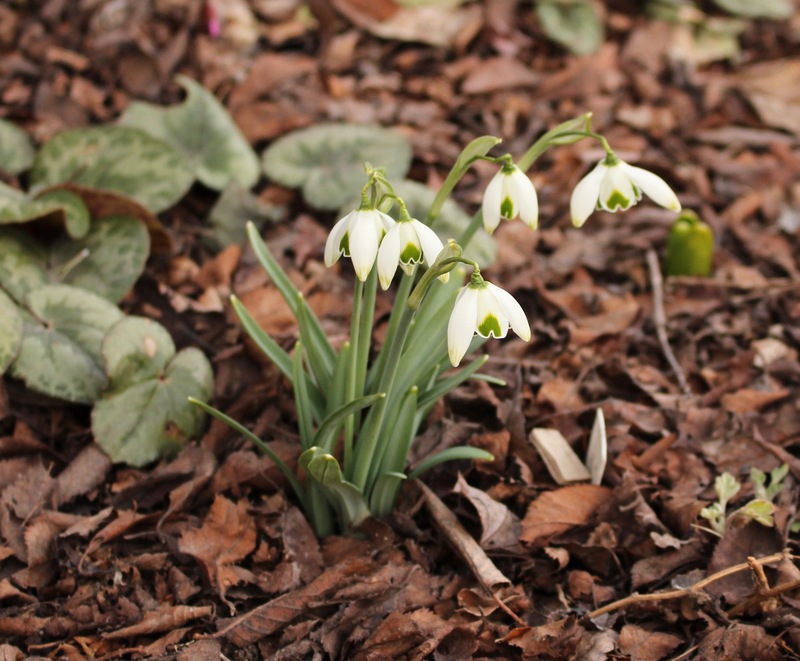 With a decently open woodland location this is the snowdrop which will spread about to form sheets of white. 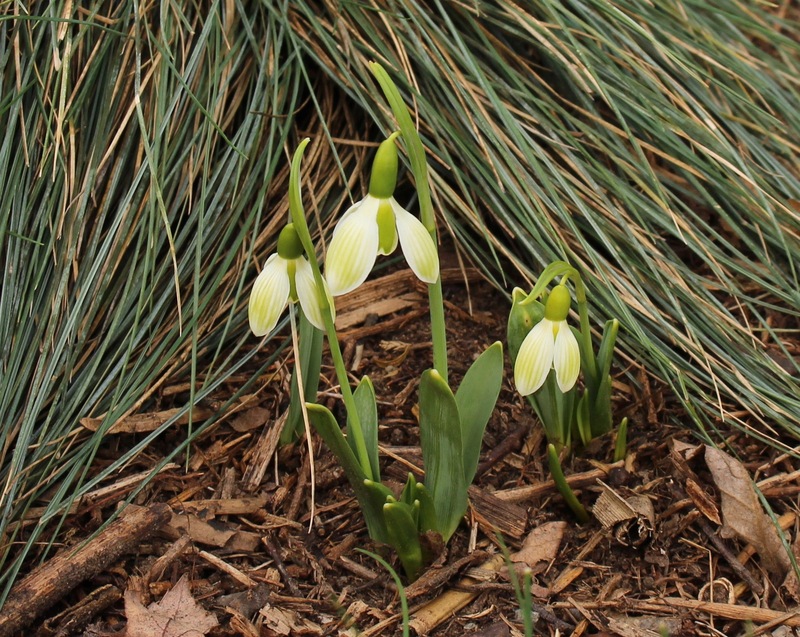 Galanthus nivalis. Nothing too exceptional, just a nivalis I selected for its long pedicle which raises the flower up above the spathe. 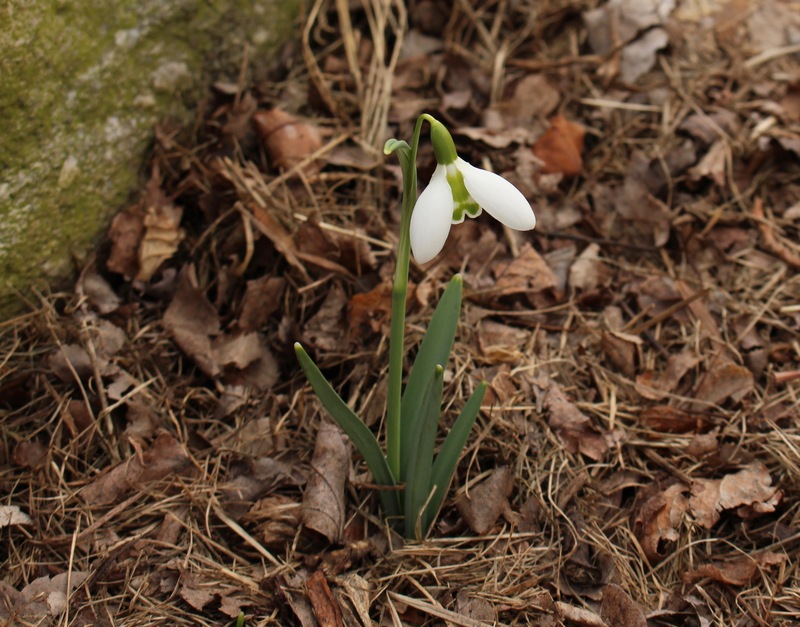 Nothing Special is the name that stuck to this perfectly special snowdrop. As the story goes if you keep answering the identity question with the answer ‘oh that’s nothing special’ eventually the name is shortened for convenience. Ophelia is a strong growing, nicely upright double with just a touch of green feathering at the tips. I’m not the biggest fan of doubles, but this one’s doing just fine, even if it does like to sulk for a season and send up stunted flowers after being transplanted. Percy Picton is a good growing, tall drop with a flower that hangs gracefully from a long pedicle. 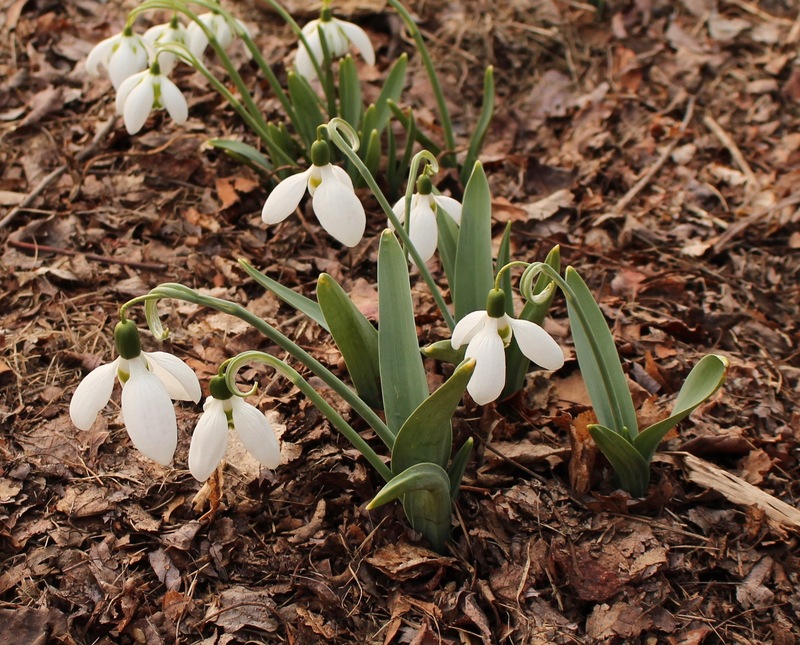 Late snow tends to flatten the clump, but it’s better to not even think of late snows once the snowdrops are up. Primrose Warburg has done very well for me here and I think she’s an excellent drop. Named after one of the UK’s galanthophile greats, this cultivar is a wonderful legacy and always puts on a great show here. I can’t think of a single complaint unless you plant her next to a large flowered cultivar and think her blooms are small. Just don’t do that and she’ll fill you with joy each spring. Richard Ayres can be a little floppy but that’s probably due to just how heavy and full the flowers can be. Occasionally extra outer petals make the flowers even fuller, but for those who love doubles I bet thats an even better thing. 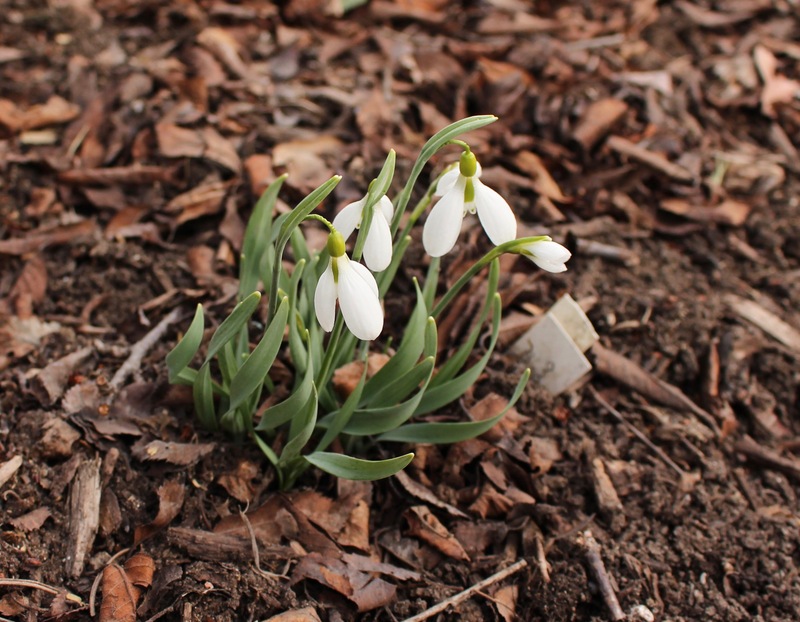 Rosemary Burnham is a snowdrop who hails from the North. She’s a Western Canadian with a beautiful flush of green across the outer petals which compliments the fully green inners. 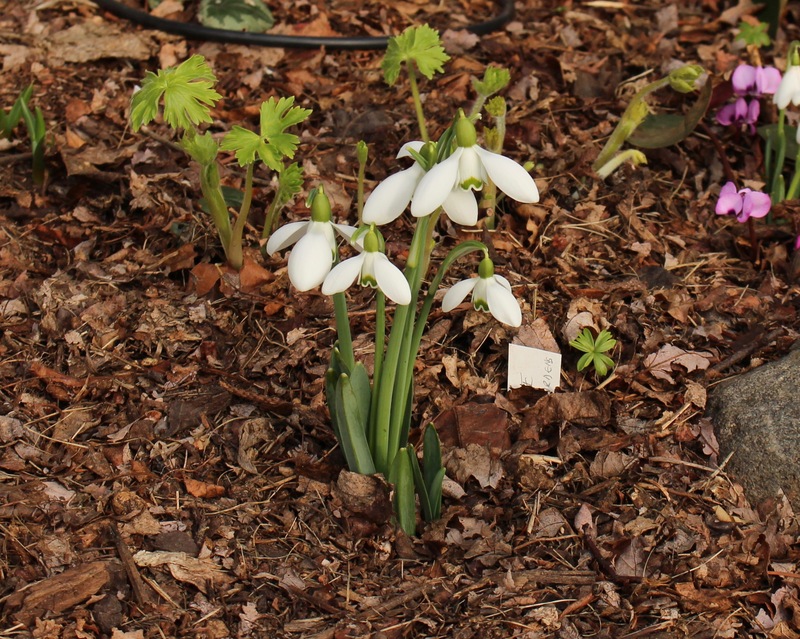 She’s a very special drop which required a good chunk of the snowdrop budget, so you can imagine the look on my face when I put a trowel through the bulb one summer while “just checking on it”. There’s no doubt in my mind that you wouldn’t be hearing this story if Rosemary decided to use her beheading as an opportunity to check out of my garden, fortunately she came back, multiplied, and hopefully by next year will be 100% recovered. 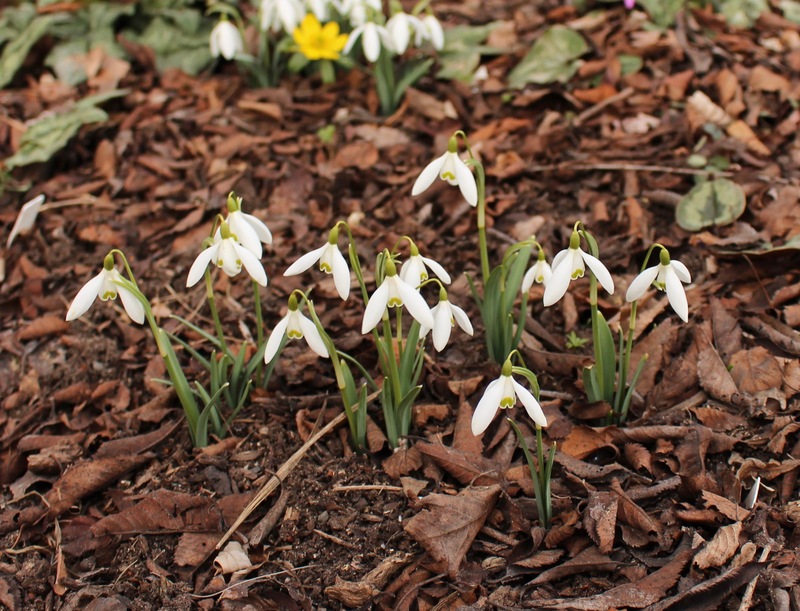 S. Arnott is a classic drop which all the best snowdroppers seem to rave about. 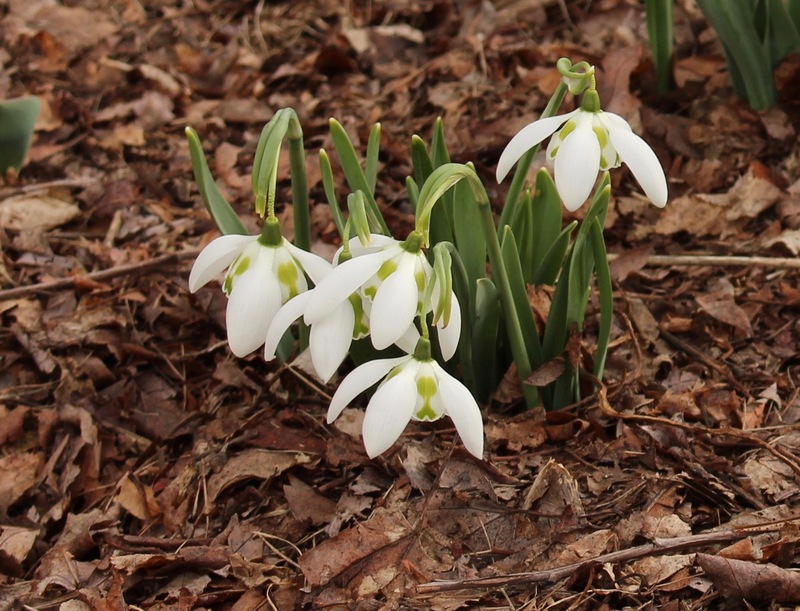 I love it as well, but being of a more common sort I have to admit I probably couldn’t distinguish it from the majority of other perfectly classical, strong growing snowdrops which I grow. 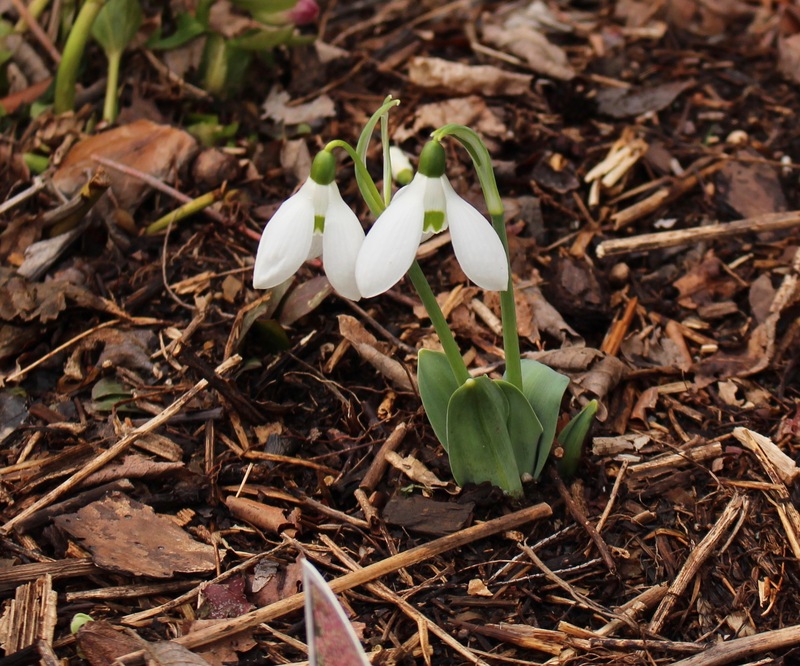 I did know enough to see that the two other S. Arnotts which I grew before this one were likely incorrect, so I guess there’s still hope for the snowdrop snob inside of me. 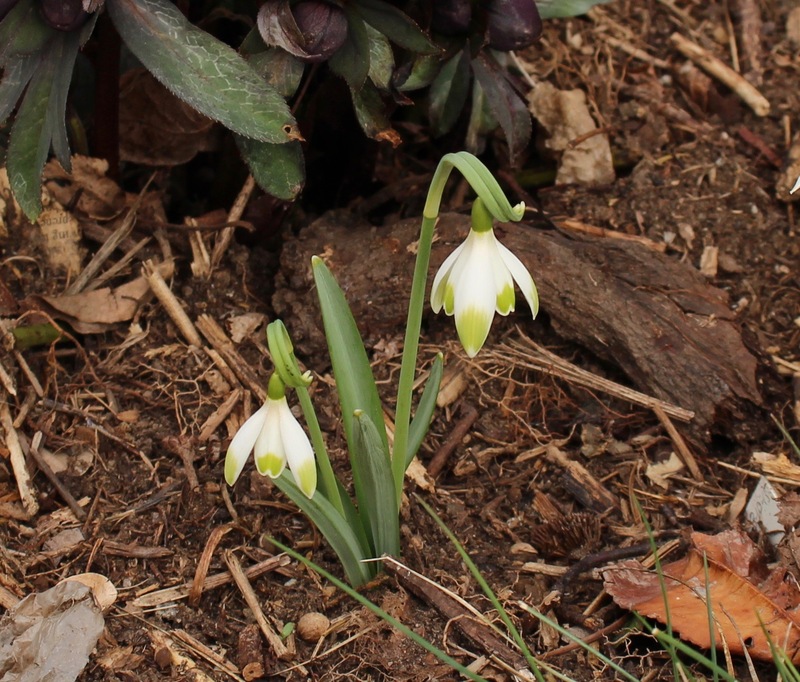 Scharlockii is a snowdrop for someone else. 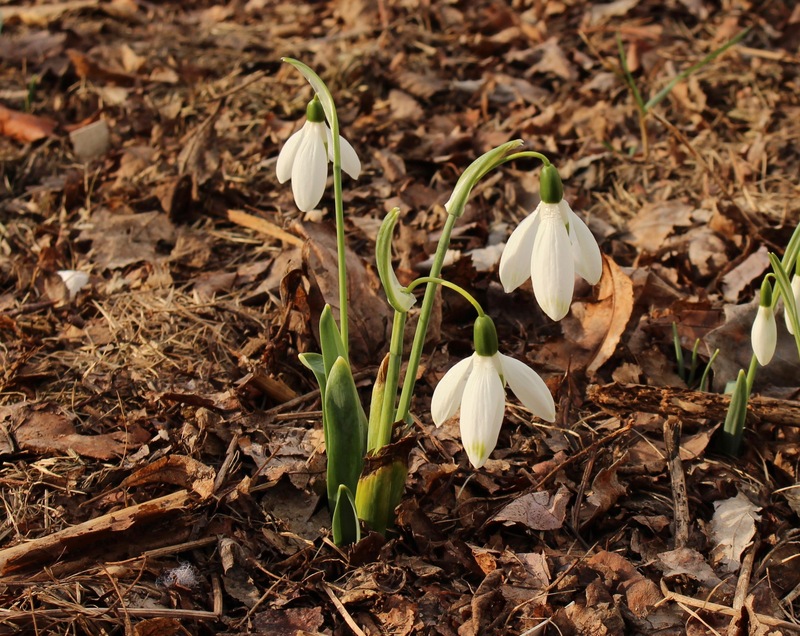 It has an interesting split spathe which rises up above the flowers, as well as a nice little green tip to the outer petals, but if I had to save snowdrops ahead of an approaching bulldozer I don’t think I’d risk diving in for this one. Many good people love this plant though so of course I’ll keep it and hope that my senses come around some day. Sophie North is a real cutie. She’s stocky with good sized flowers, and forms a neat clump with flowers which hang just above the foliage. She’s a sturdy drop who never degenerates into a sloppy mess and is rapidly becoming one of my top favorite drops… as opposed to all my other favorites. A beautiful drop with a tinge of sadness. This drop is named in memory of five year old Sophie North, one of several victims of Scotland’s Dunblane School Massacre (1996), an event which precipitated strict changes to the UK’s gun laws. 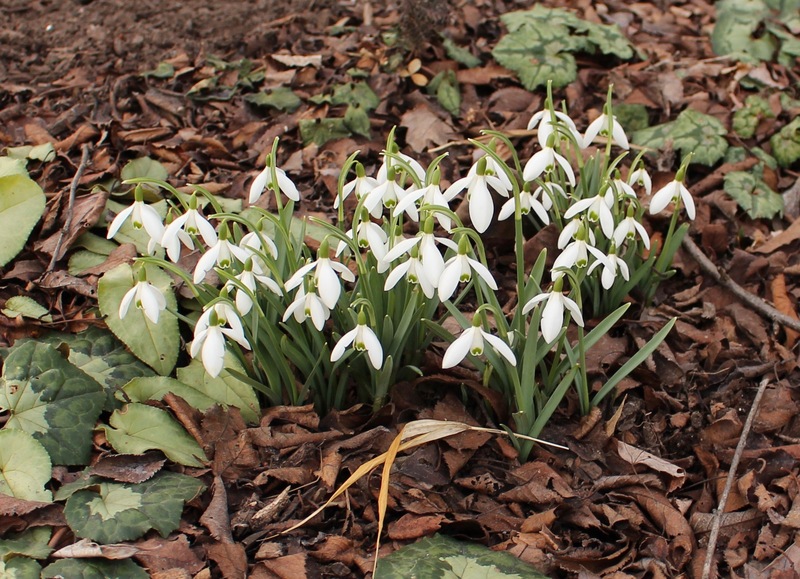 Straffan rounds out the end of the snowdrop season in this garden. He’s the last of the perfectly regular white drops to open here and has a nice sturdy upright flower, usually two per bulb. I would always want this one in my garden. Viridapice is in my opinion more a range of green tipped nivalis types rather than a specific cultivar. All should have a large, almost leaf-like spathe arching over the flower and it seems anything close to this form gains the name. I love them, and it’s almost a compulsion for me to keep adding them as I come across them via different sources. They’re always a great value and I have yet to be disappointed. Wendy’s Gold was one of the first fancy snowdrops I acquired and worth every bit of the wonderfully patterned hardy cyclamen which I traded for it. 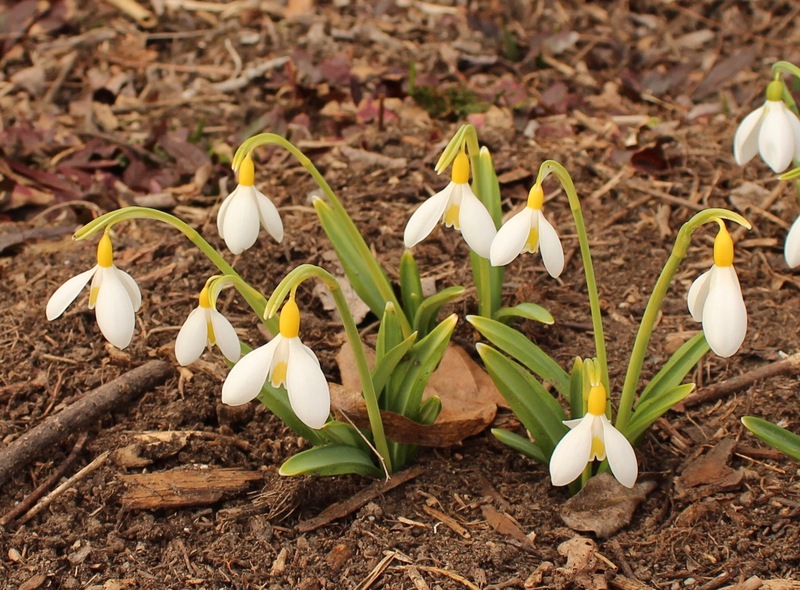 Even the most ignorant snowdropper can see it’s different than the average drop, and this ignorant snowdropper thinks the bright gold is a fantastic color variation to the usual green. Bright springtime sun really seems to bring out the color and it’s been an excellent bloomer and decent grower for me so far. Zwanenburg ex Cambo flowered its first year and I was amazed to see six flowers come up out of a single traded bulb. I need to ask Paula what she’s been feeding them. The flowers are big, early and stand up strong, and I’m looking forward to seeing what this vigorous bulb does next year. As far as I know Zwanenburg became ex Cambo when the original out of the Cambo Estate varied slightly from bulbs sourced elsewhere. Thanks for reading, and feel free to add corrections, suggestions, and your own comments below!